WASHINGTON (Reuters) - The U.S. judge overseeing former Trump campaign chairman Paul Manafort's trial in Washington recommended on Friday that his sentence be served at a prison in Cumberland, Maryland. 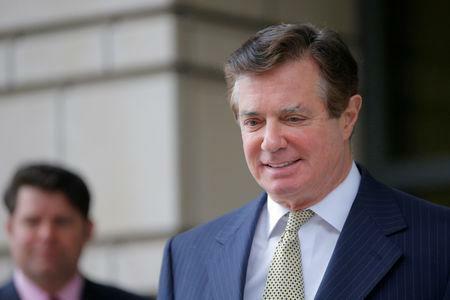 Earlier this month, Manafort was sentenced to a total of 7-1/2 years behind bars for witness tampering, tax and bank fraud, and other crimes. The U.S. Bureau of Prisons will ultimately decide where Manafort will spend his sentence and the agency does not have to follow Judge Amy Berman Jackson's recommendation. Cumberland is a medium security federal prison with a total of about 1,200 inmates, according to the Bureau of Prisons website.